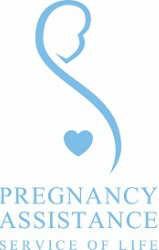 Adoption - Pregnancy Assistance Inc. Perth WA Pregnancy Assistance Inc. Adoption provides a family for a child who is unable to live with their birth parents. We understand that the decision you will make about your baby’s future is important, so we would encourage you to take your time and get all the information you need to make up your mind. You may consider to place your baby in pre-adoptive foster care. This is temporary and it gives you time to consider your options. In Western Australia adoptions are open. This means that you can have ongoing contact and information exchange with your child and their adoptive family. Some parents choose to have regular contact while others choose to have no contact. If you are considering adoption and need more information, you can contact Fostering and Adoption Services at the Department for Child Protection and Family Support.